Latin and Greek are especially important to Christian classical education for a number of reasons. While many people view these languages as useful for building vocabulary for ACT or SAT tests, there are much deeper reasons why their study is indispensable. First, the study and mastery of grammar is more than understanding subjects, verbs, and objects. Our ability to put sentences together coherently affects the ways in which we make sense of the world we live in. A toddler’s life is recognizably enhanced when their words can communicate and organize the world around them because language is the medium through which we understand our world. Culture critic Ken Myers defines culture as “what we make of the world, in both senses.” By this he means that culture is what we make as well as the meaning we make of things we’ve made. This latter sense has to do with words. We make sense of the world through language, and Latin and Greek sharpen our ability to use words by expanding our grammatical horizons by comparing and contrasting them with our mother tongue. Jacques Barzun, one of the greatest educators of post World War II America once said that we write as well as we think, which is to say that the connection between words in one’s head and the words one puts on page or speaks out loud are connected. One can never underestimate the power of language. It was a power uniquely given to Adam and Eve in the garden to “name” the animals, something that is certainly part of being in the image of God. So the study of Latin and Greek is essential because they develop our ability to make sense of ourselves and our world since we can only make sense of ourselves and our world with words. Second, languages can never be divorced from their specific cultures, and the Greeks and Romans provided the foundational texts and ideas that inspired both Europe and North America. Proficiency in these languages inevitably leads to familiarity with these cultures, because these languages were the very medium through which the Greeks and Romans understood themselves and their worlds. 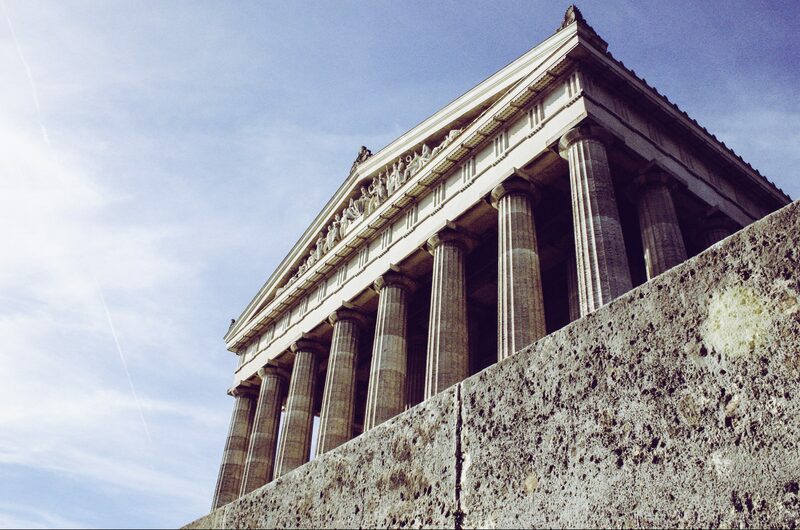 It does not take much time to realize that despite similarities, the Greeks and Romans are different from us, and this contrast helps students to begin to evaluate their own culture. Commenting on George Steiner’s understanding of language, Stratford Caldecott writes that for him “language is at the root of freedom, and the more languages we know, the freer we are to speak and conceive the world in different ways (as he says, “The polyglot is a freer man”). And since Latin and Greek are foundational to a number of other Romance languages, the study of them will make learning these other languages easier, thus reaping the benefits already described above. 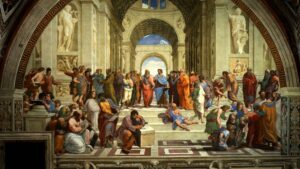 So the study of Greek and Latin is essential because it uniquely develops our ability to understand ourselves, our world, and above all the Word, “who was made flesh and dwelt among us”. Latin and Greek expand a student’s vocabulary and etymology which will help them on the ACT and SAT, but these benefits are trivial when compared to their unique capacity to form a student’s ability to think and speak.